Mani Zadeh, MD, FACS, a surgeon at La Peer Health Systems in Los Angeles and Our House board member, discusses the new HBO documentary featuring the charity. The goal of Our House is to offer support to those who are going through the process of grieving. The documentary was made by director Irene Taylor Brodsky at Camp Erin in Los Angeles. Camp Erin was created by baseball player Jamie Moyer and his wife in honor of a teenage fan who died of cancer. “Camp Erin is a bereavement camp that is specifically designed to help children between the ages of six and seventeen deal with the death of a family member or friend,” said Dr. Zadeh. While at Camp Erin, participants engage in a combination of outdoor activities and grief-related events. These events are designed to help campers come to terms with their grief and memorialize the friends or family members they’ve lost. 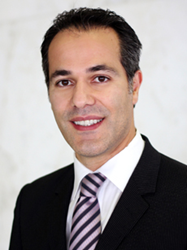 Mani H. Zadeh, MD, FACS is a board-certified otolaryngologist, also known as a head and neck surgeon or an ear, nose, and throat (ENT) surgeon. He is a member of the American Academy of Otolaryngology - Head and Neck Surgery (AAO-HgregNS) and a fellow of the American College of Surgeons (ACS). Dr. Zadeh’s expertise in disorders of the head and neck has made him one of the most sought-after physicians in his field. Through his work at La Peer Health Systems, Dr. Zadeh helps many patients every year regain their health. La Peer Health Systems is an outpatient surgery center in Beverly Hills, founded by doctors and focused on providing excellent patient care alongside the most cutting-edge medical treatments available. With 40 world-renowned physicians in 13 specialties, we offer comprehensive medical treatment that takes patients from consultation to diagnosis, treatment, surgery, and ultimately aftercare. Our 13 medical departments include orthopedics & sports medicine, gastroenterology, head & neck surgery, colorectal & general surgery, podiatry, ophthalmology, pain management, plastics & reconstructive surgery, gynecology, spine surgery, interventional cardiology, bariatric surgery, and anesthesiology. Unlike large hospitals, La Peer's unique structure offers extremely personal care in a safe and controlled environment. More information about La Peer Health Systems can be found at http://www.LaPeerHealth.com.